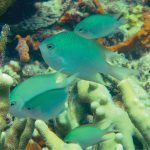 Fairy wrasses have been experiencing a glut of new species descriptions in recent years, and the genus, which now has 56 recognized taxa, has blossomed to become the single largest in the entire wrasse family. 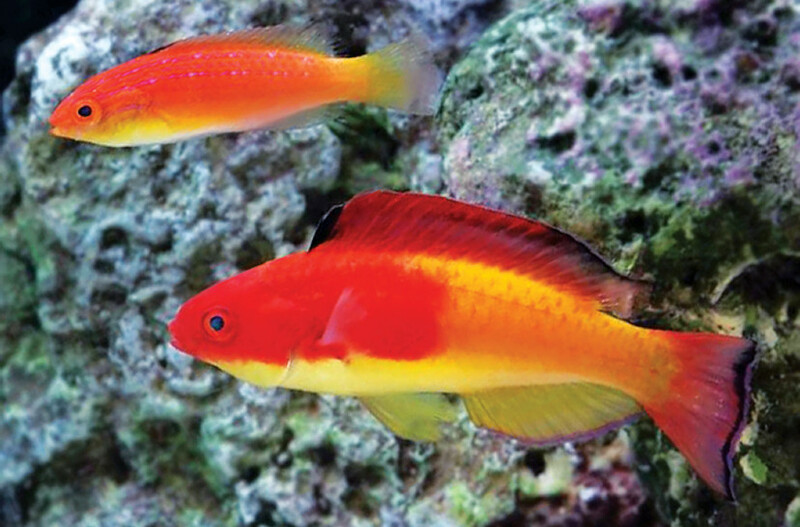 The latest to join its illustrious ranks is the Hooded Fairy Wrasse (Cirrhilabrus efatensis), an eye-catching fish from Vanuatu which aquarists will likely recognize. 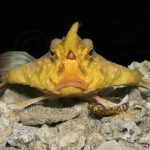 If C. efatensis looks a little familiar, it’s because of its close relationship with another popular fairy wrasse common to the aquarium trade, C. bathyphilus. These two have typically been treated as belonging to a single species which was thought to show some modest regional variation in its color patterns. Those from the Coral Sea are recognizable for having more red along the body, while those from the northern islands of Vanuatu instead sport a distinct red “hood” anteriorly. And this is essentially the sole basis for separating the two—color and biogeography. Nowhere are they known to coexist in the same location, which suggests that these populations have likely been isolated from one another for a decent amount of time… long enough to speciate, in the opinion of this study’s authors. However, preliminary genetic data (using the so-called barcode gene CO1) failed to find any difference between the two. 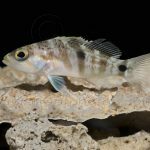 This has been something of a recurring theme among certain groups of closely related wrasses that have been investigated, where male coloration seems to have outpaced the sort of genetic differences one might expect between different species. What’s perhaps most remarkable about this new species is its highly restricted distribution, presently known only from the northernmost islands of Vanuatu. In general, Vanuatu’s ichthyofauna is not normally endemic like this, with most of its fishes being considerably more widespread throughout neighboring portions of Melanesia and the greater Pacific. Now, this might have more to do with the limited study in this region—perhaps there are other cryptic species like C. efatensis which simply haven’t been recognized as such. For instance, there are some anemonefishes from here which likely warrant species recognition, but finding this sort of microendemism in among fairy wrasses really emphasizes just how susceptible this group is to speciation… though why this is so remains something of a mystery. Finally, a word must be said concerning what is and is not a “Hooded Fairy Wrasse”. This name has long been used by aquarists to refer to the commonly imported C. bathyphilus form the Coral Sea, but, of course, this wrasse has no hood to speak of. 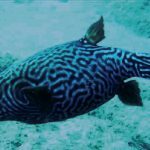 Fishbase has chosen to somewhat prosaically refer to it as the “Deepwater Wrasse”, a direct transliteration of its scientific name alluding to its preference for moderately deep reefs (30-50 meters). But this name is rather unfulfilling, as several other fairy wrasses occupy this same sort of mesophotic niche. 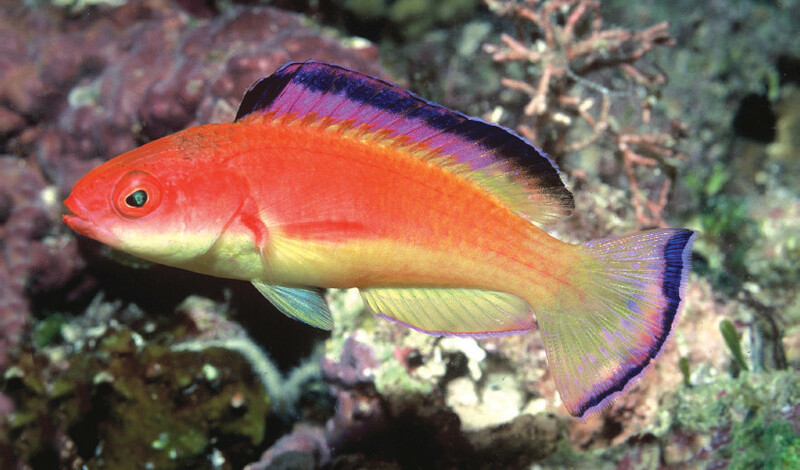 Allen et al’s guide to Pacific Fishes chose to go with “Coral Sea Wrasse”, which at least makes reference to the fish’s endemism. 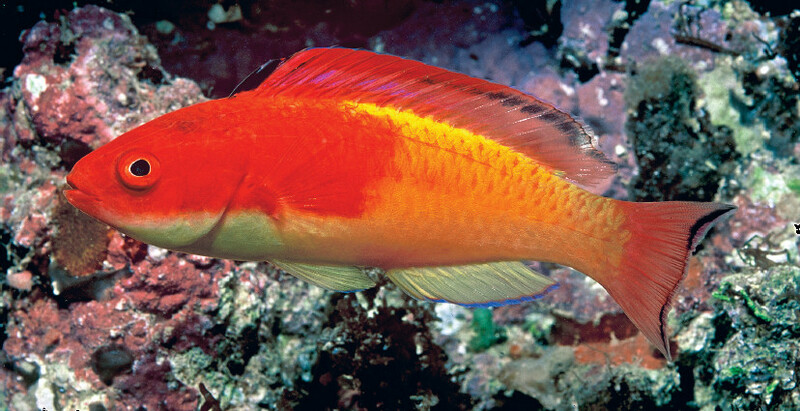 I’d personally like to see some mention of the distinctive red coloration used to identify C. bathyphilus from its hooded cousin in Vanuatu… so how about some nifty adjectives, like the Scarlet Fairy Wrasse or the Vermilion Fairy Wrasse or the Carmine Fairy Wrasse? Walsh, F., Tea, Y.K. & Tanaka, H. (2017) Cirrhilabrus efatensis, a new species of wrasse (Teleostei: Labridae) from Vanuatu, South Pacific Ocean. Journal of the Ocean Science Foundation, 26, 68–79.